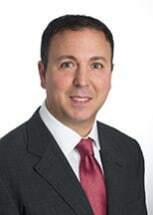 Michael Buscemi is a litigator with nearly 20 years of experience specializing in Business Litigation, Insurance Coverage Litigation, Construction Disputes and Representation of Design and Construction Professionals. Mr. Buscemi provides aggressive, cost-effective legal services to local and national companies and individuals. Mr. Buscemi graduated from the University of San Diego in 1996 with a Bachelor of Arts degree in Political Science. In 1999, Mr. Buscemi obtained his Juris Doctor from the University of San Diego School of Law and was admitted to the United States Department of Justice Honors Program. Mr. Buscemi is admitted to practice before the courts of the State of California and the United States District Court for the Southern and Central Districts of California. Mr. Buscemi represents clients throughout California, both in state and federal courts. He has also appeared pro hac vice as counsel in the states of Colorado, Oregon and New Mexico.